AUSTIN — JANUARY 24, 2017 — Today, bots_alive launched its Kickstarter campaign to crowdfund the distribution of a cutting-edge smartphone kit that uses artificial intelligence and augmented reality technology to build robot creatures that feel believably alive. The complete bots_alive set includes a Hexbug® Spider and a bots_alive smartphone kit that brings the spider to life. 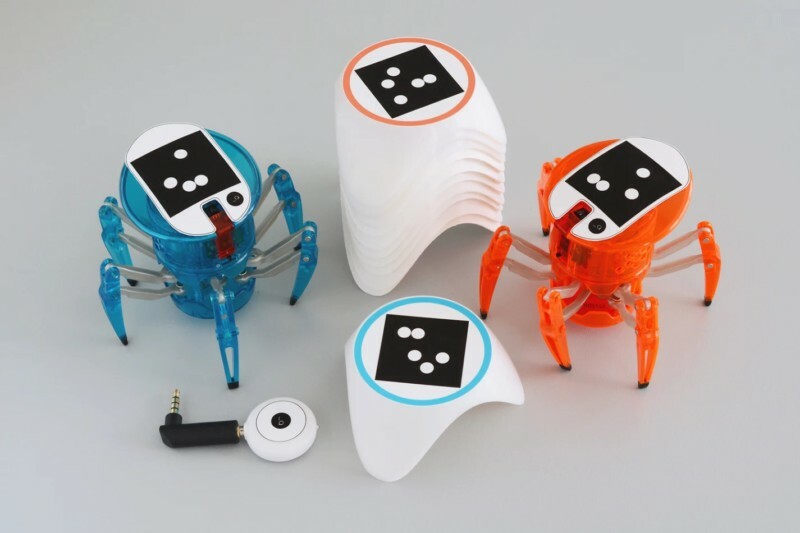 The kit contains an infrared blaster that sends remote control signals from the smartphone directly to the Hexbug Spider, an easy-to-apply decal for the Hexbug Spider, and a set of special “vision blocks’”with which owners create the world the robot interacts with—and change that world as they wish. These physical pieces complement the bots_alive iOS and Android app, which runs all software for augmented reality—including seeing where the robot and the vision blocks are—and artificial intelligence to determine the robot’s behavior. One vision block is often sought by the robot, and the rest are obstacles the robot avoids; owners influence the robot’s behavior by creating areas to explore, mazes, and barricades, and changing them on the fly. Through a new artificial intelligence technique the founder developed at the MIT Media Lab, the robot creatures are both goal-oriented (like other autonomous robots) yet also uniquely organic: hesitating, looking around, thinking about its next move, and making mistakes, all at a lifelike cadence. This new category of character AI is built during development by demonstrating what the robots should do through puppetry rather than by directly programming them. The bots_alive team is optimistic that this technique will be broadly applicable to robot characters and non-player characters in video games. 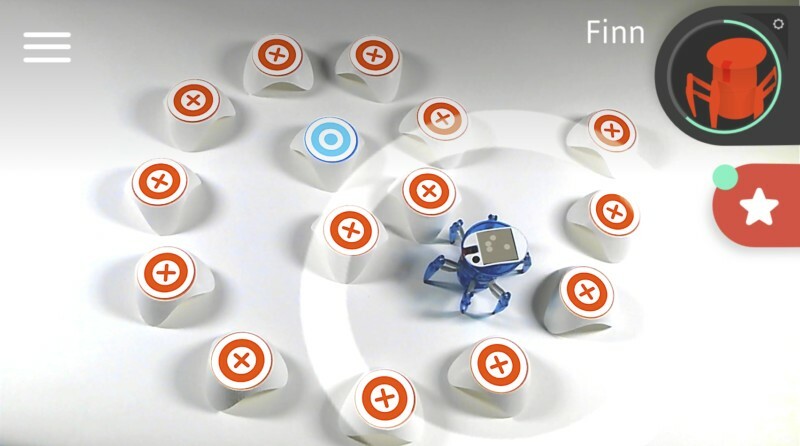 In addition to the complete bots_alive set, campaign supporters can also opt-in to a add another Hexbug Spider as a companion and competitor to the first, and they can stock up on vision blocks to enable complex obstacle courses. Owners of Hexbug Spiders can buy the bots_alive smartphone kit alone. The goal of the 23-day campaign is to raise $15,000 by mid-February, with plans to begin shipping the bots_alive smartphone kits in September. About bots_alive bots_alive is a robotics startup that’s introducing a new, more organic form of robot artificial intelligence. Its cutting edge technology uses a simple smartphone kit to bring a mindless remote control Hexbug Spider to life. Founded by Brad Knox, bots_alive aims to build compelling, lifelike robots that are fun, affordable, and offer limitless play. For more information, please visit www.botsalive.com. Dieser Eintrag wurde veröffentlicht in Crowdfunding, Development, English, Fun, General und verschlagwortet mit AI, bots_alive, control, Hexbug, Smartphone, Spider von Sebastian Trella. Permanenter Link zum Eintrag.